When we go to Munich, we plan to stop by Viktualienmarkt, an open air street market that has over 140 stalls covering 240,000 sq. ft. 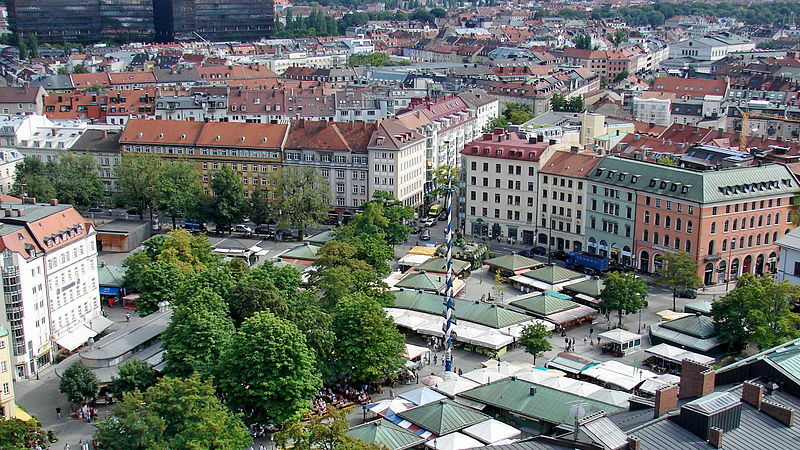 Originally created all the way back in 1807 by decree issued by King Maximilian I since the market that used to be in Marienplatz was becoming too small. It has since been expanded greatly to allow for what we see today with the the demolition of various buildings adjacent to it. It is open Monday - Saturday from 8:00 am - 8:00 pm, but some shops open later and some close earlier as well. There are all types of things to buy, flowers, fruits and vegetables, meats, dairy, fish, spices and more.